Olympians and Paralympians are at the pinnacle of their sports, and they didn’t reach such heights by accident. At the 2016 LA84 Summit on October 27, 2016, four competitors from the 2016 Rio Games gave us an insight into their Olympic journeys, what inspired them to pursue their sport, and imparted wisdom and advice applicable across not only sport, but life. See the full video of the panel below. Not every Olympic journey starts under the age of 10. For Nwaba and Muhammad, it took them well into their teens to discover the sport that has since taken them to the realm of the athletic elite. Both maintained how important it was not only for them to find their sport, but to test out a wide variety to know the sport they chose was truly the one for them. Nwaba began her athletic career through LA’s Best, an LA84 grantee. “I started doing track and field programs for them [LA’s Best], but I was also exposed to volleyball, softball and soccer,” said Nwaba. That variety helped set the tone for the rest of my athletic career. For Muhammad, growing up as a Muslim-American donning a hijab sometimes limited the sports she was comfortable pursuing. 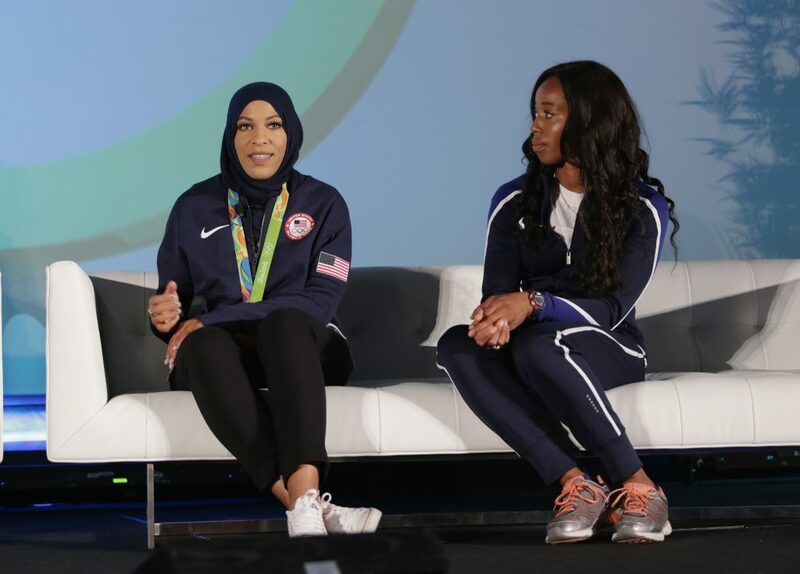 Her mother saw fencing at a local high school when Muhammad was 12 and how the sport covered up most of one’s figure and was amenable to a hijab-wearing athlete. She wanted her daughter to try the sport once she started high school, and Muhammad’s level of skill really accelerated once she joined the Peter Westbrook Foundation at age 17. “At first we literally had no idea what we were watching in fencing, but now I know I wouldn’t be where I am today without a nonprofit,” Muhammad said. 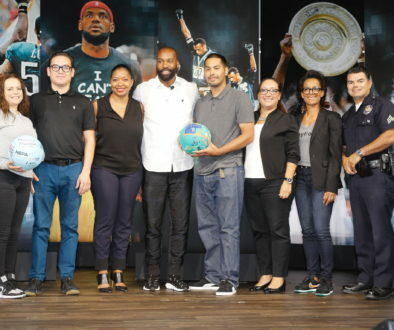 As they discussed their careers and accolades, the four athletes’ passion for using their Olympic notoriety to inspire current and future athletes alike shone brighter than their Olympic medals. 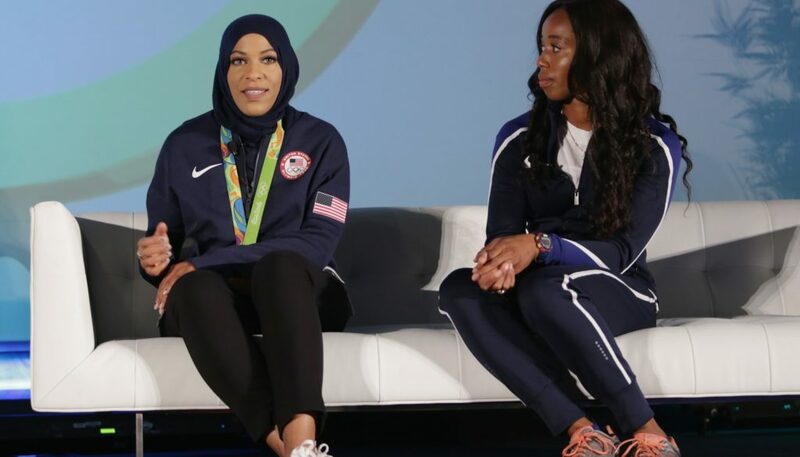 For Muhammad, her Olympic stature as the first Muslim-American to earn an Olympic medal wearing a hijab empowers her to inspire and motivate girls whose shoes she was in not too long ago. 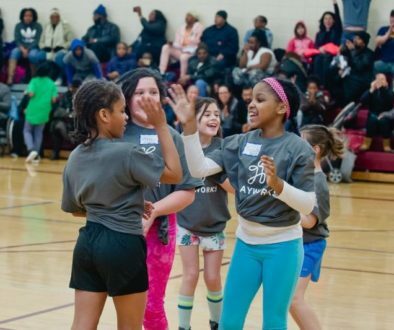 “Having girls see Muslim women involved in sports and things that are culturally out of the box for them kind of changes their orientation and how they view themselves,” she said. 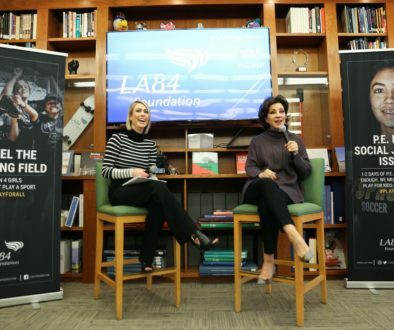 See more from the Summit and the latest from LA84 here.